When looking to take the next step in your life, whether that be getting married, having children, or dissolving a marriage, a family lawyer can be essential to your personal success. One of the best assets you can have is an experienced family lawyer on your side. The right lawyer can help you navigate the complexities of the family court system, create detailed and beneficial documents for the protection of you and your family, and keep your rights and interests protected throughout all stages of proceedings. 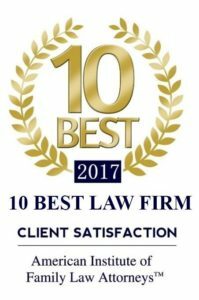 Pollart Miller LLC is proud to offer the experience and resources of our established legal separation & divorce lawyers, while still providing each of our clients with personal attention, custom and innovative solutions to fit their needs and meet goals, and the best family law team in the Denver area. 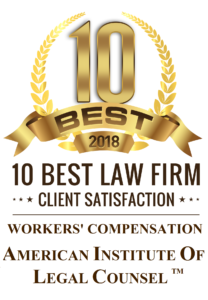 Call (720) 488-9586 or email our firm to schedule a consultation with a highly experienced attorney and learn more about how our experience, services & representation can help you achieve your legal objectives. Whether you’re divorcing or just getting a legal separation, there are many factors to consider in the court system. Position your case for a favorable and efficient outcome with the help of our experienced family law attorneys. We work tirelessly to find the best situation for you and your family. Children can be the most important part of your life, and we want to make sure your children end up in the best situation for them. Child custody issues can involve everything from issues of parenting time and decision making to paternity. Our child custody lawyers can work with your before, during, or after disputes to get you back to raising your children. Supporting yourself and a family after a divorce or legal separation can be a financial hardship. Our experienced family law attorneys are well versed in Colorado’s child support and alimoney laws, and will put their expertise to work for you. Marital agreements come in all shapes and sizes. From prenuptial to postnuptial agreements, it’s important to have a contract in place that protects all parties involved in a marriage. Even if there are not significant financial matters at stake before getting married, creating a contract is now very common practice among couple. Let our legal team make sure you’re taken care of. Situations change, and sometimes the parenting order or support plan you have in plan needs to be modified for the new situation you are in. Pollart Miller’s team has year of experience working with families to create plans that work for them. Let our family law attorneys work with you to modify child custody order, divorce orders, or anything in between. Moving to a new city or state with your minor child can require a modification of child support payments or even child custody agreements. This relocation may impact parenting time, child support needs and other important factors. Regardless of which side you are on, our child custody attorneys can help you prepare for changes related to relocation. All the major markers in your life have legal consequences. In order to achieve personal success in your family life, you need an experienced family lawyer to represent and advise you. Regardless of your personal circumstances, the law will affect your rights and responsibilities. Pollart Miller is a stellar team of Denver attorneys who have chosen to dedicate their legal practice to helping people through some of the most important and difficult phases of life. Our family lawyers will help you understand your options and guide you to make sound legal choices. Pollart Miller can help you navigate Colorado’s complex family court system, consistently acting as your advocate. At all stages of legal proceedings, you can rely on us to protect your rights and interests. In court and in private negotiations, our family lawyers provide rational, objective help to clients under a great deal of stress. When you need compassionate and trustworthy legal advice, we remain at your side. We are defined by our experience and dedication to client care. All of our attorneys have extensive legal expertise representing Coloradans in all aspects of family law. That includes divorce, legal separation, child custody, support, modification and enforcement of orders, and premarital agreements. When you retain our firm, you can expect that we will provide you with optimal advice and guidance at all times. You will always understand where you stand and the choices you can make for yourself and your family. Call (720) 488-9586 or email Pollart Miller to schedule a consultation. Our family law team will help you to achieve the optimal legal result given your personal challenges and unique circumstances.